When drivers look over our lineup of imported and exotic vehicles at our North Miami Beach dealership, they’ll find a few outliers that don’t always adhere to our tried-and-true formula. One such example is our roster of Jeep Wrangler models, which might seem out of place among their supercar brethren. Not so fast, though. These distinctive models fit the Prestige Imports brand better than you’d guess, simply because they’re so undefinable. 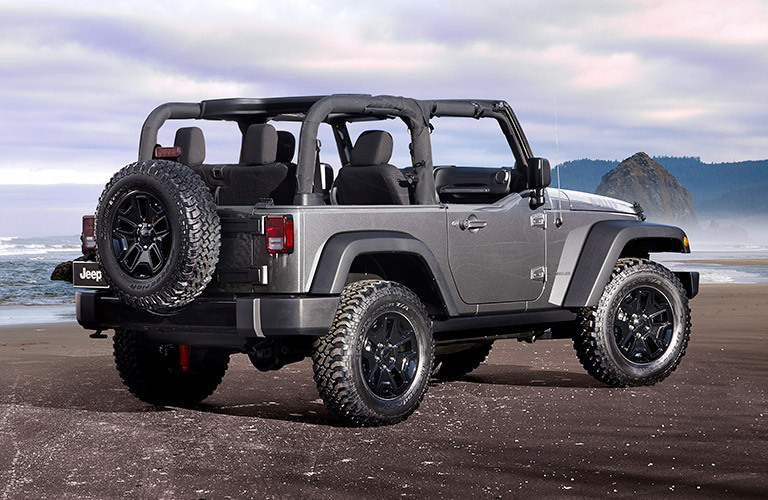 Here are five facts you might not know about the Jeep Wrangler. The original design only took two days. With World War II on the horizon, there was an obvious need to replace the existing government-issued vehicles, which consisted of an aging fleet of Model Ts. They needed to be lightweight and four-wheel drive, and a man named Karl Probst had just the thing. His company, known as Bantam, took only two days to put together a design, with elements being added by Ford and Willys during production. No one knows where the Jeep name came from. Most people assume that the “Jeep” name came from its “General Purpose” description, or “GP” for short. This has been debunked over the years, while some assume that it was just a general military name that stuck. There’s also a theory that it’s named after “Eugene the Jeep,” a character from Popeye. The truth is, no one really knows for sure. After World War II was over, many servicemen coming home still liked the vehicles they’d driven abroad. So, Willys adapted their creation to suit those coming home, with the first passenger-ready version, the “CJ.” What we’re seeing today is an extension of this motivation. They’ve been copied by just about everyone. At one time or another, virtually every automaker has tried their hand at making an off-road equivalent to the Jeep, with decidedly mixed results. We certainly know the Toyota Land Cruiser, as well as various Land Rover designs. Even Mitsubishi and Ford have borrowed copies under license, although they’re only available overseas. If you’re a true Jeep enthusiast, there is no better way to prove it than by joining an official Jeep Jamboree. These trail exhibitions happen nationwide, with the first being held near Lake Tahoe on the Rubicon Trail (Sound familiar?) in 1953. In the years since, Jeep has brought concept vehicles to show off to the Jeep-driving faithful. There’s certainly much more to the Jeep story, and it continues at Prestige Imports. Click on the link above to view our inventory, and schedule your test drive today! This entry was posted on Tuesday, April 11th, 2017 at 1:40 pm	and is filed under Jeep. You can follow any responses to this entry through the RSS 2.0 feed. You can leave a response, or trackback from your own site.